Being a mother has done some crazy things to my perspective. While it has made my heart feel so big with the love I have for my sons, can I confess that it has sometimes made my world feel really small? I spend a lot of my hours, days, and weeks with two small human beings in my small house. Making small talk. Washing small pieces of clothing. Tripping over small toys and stepping on small Legos (really small Legos that hurt like heck). A big person in the land of the little people. I was reflecting on this reality the other morning. I’ve been trying (trying) to get up before my boys to institute some version of a quiet time with God again. And tucked in my devotion book is a prayer calendar from Samaritan’s Purse. Each week focuses on another part of the globe and the prayer needs there. And looking at that took me back to a time in my life when I wasn’t just praying for places like that. I was going. I thought back to the people I had met in Tanzania, in Nigeria, in Morocco, in Belize, in Nicaragua, in Brazil. Those trips opened my eyes up to just how big the world was. I felt small because the world seemed so big. A little different than my reality now. I remember having a similar revelation when I went to college. I had gone to a pretty small Christian high school – same kids in my class from 6th grade to 12th grade. You know, after a while you kind of get that inbred feeling. When I went to college, the world just seemed so big. People from so many states, so many countries, from so many different backgrounds. And, after I graduated, there were job opportunities all over the globe. Literally. The world seemed so big. And it hit me that, wow, things really have changed. I wasn’t sad about it, but I was suddenly aware of the reality that motherhood can make your world feel really small. And that’s not mentioning all the things that are literally small – little people, little comprehension, little stimulus. Sometimes, I use up just about all my words for the day saying things like, “Wow! Big truck!”, “More wa-wa? (translation – water),” “Paw Patrol or Peppa Pig?” and other advanced conversations like that. And it can make motherhood feel a little confining sometimes. But as I continued to think, I realized that motherhood isn’t making my world smaller. It’s actually making my world bigger. In raising my boys, there is the hope and the belief that my sons will do things and go places that I haven’t. That their reach will be longer and wider. That their impact for God and His Kingdom will be more significant than mine. When viewed in that way, my world isn’t small – it’s huge. It has eternal ripples. What I am investing in my boys will have exponential reach. It’s been said that this generation is the first generation that is not expected to have a better life than their parents. But I’m not raising my boys so they will be more financially prosperous and more comfortable than my husband and I are. I’m actually praying that they will be more uncomfortable than we are – uncomfortable with the status quo, uncomfortable with living a cushy life, uncomfortable with the idea of having an existence that centers around their own personal success. I know for some women, being a mother can feel confining. We all need to be reminded that our work as moms doesn’t shrink us or diminish us or make us less valuable than we’d be in the professional world. I know it might feel mundane – cleaning diapers, refereeing fights, washing mountains of laundry, carting kids all over town for every event and activity. Even if your world doesn’t feel big right now, through your kids, it’s enormous. 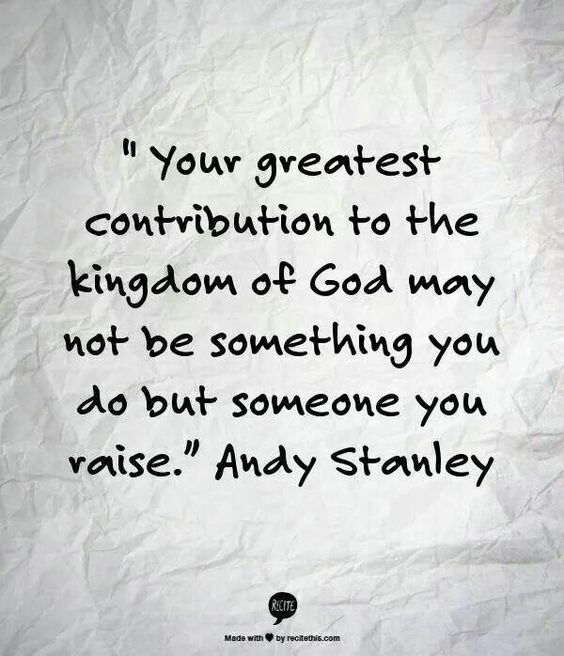 How you raise your kids is making an super-significant contribution to the world – and more importantly, to the kingdom of God. Isn’t that great??? 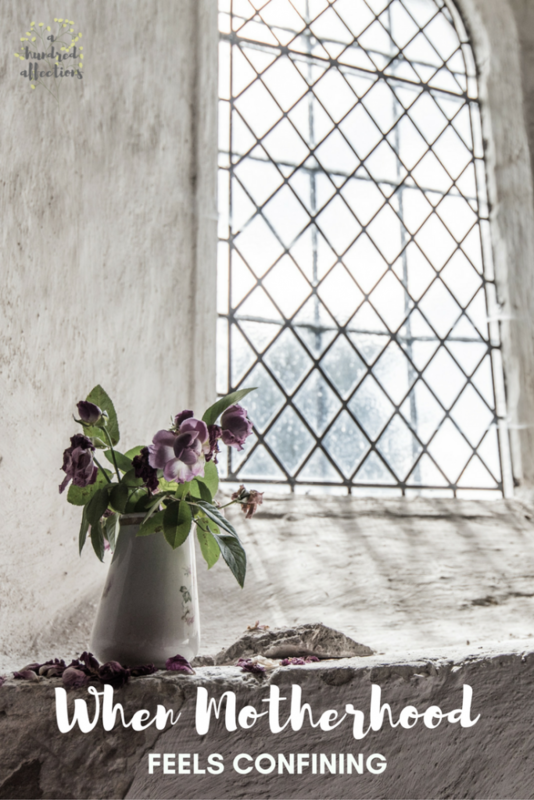 That reality should expand our view of motherhood that sometimes feels tight and confining. What we are doing here is important work. The most important work. All of it. For sure, we can’t forget this reality either: the ultimate reach is your prayers. If you feel confined, like your world is small, God can get into every crack and corner of the universe through your prayers. Yes, even the ones you distractedly offer while sweeping under the table (again) or microwaving chicken nuggets. I may not be going around the world right now, but my prayers can certainly reach all those places I can’t. And the irony here is that, while God and His Kingdom are universe-filling, God doesn’t diminish the small things. He knows the number of hairs on our heads, and He knows when even a sparrow falls to the ground. He knows the words on our tongue before we even speak, and He knows the number of our thoughts. While He is big enough to run the universe, He is ‘small’ enough to see us in our little small world filled with small humans, small toys, and small conversations. And He’s right in the middle of all that, too. 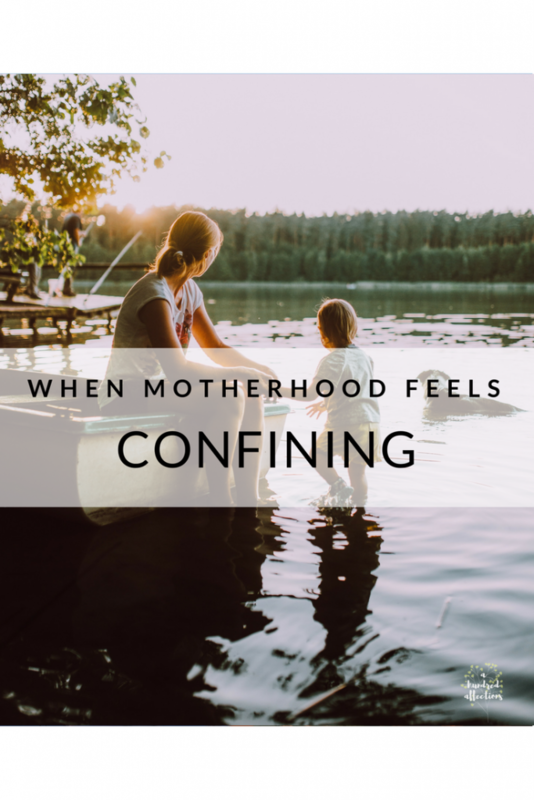 If you feel confined by being a mom sometimes, you aren’t alone. But don’t let that feeling trap you. All the “little” things you are doing for the little people in your life will pay out huge dividends – in your relationship with them, in who they become, in the mark they leave on the world. It’s worth whatever you are sacrificing to invest in those adorable Lilliputians who overrun your house. It’s only small for a little while. Eventually our world will get big again – so big that it will slowly pull our little boys and girls out into it. And I’m pretty sure that, when that day comes, we will be wishing for our little world with our little people again. The thing about confinement is that everything is really close together. Tight proximity. Take advantage of having your littles so close to you – to giggle with, to play silly games with, to sing with, to pull onto your lap to watch Peppa Pig (again), to squeeze tight – all within arm’s reach. Before we know it, our world will be big again, and our little ones with it. You’re doing a great job, mama. Keep up the good work. It’s worth it. This is fantastic. Thank you so much for sharing! I'm writing that Andy Stanley quote in my journal as well as this: "In raising my boys, there is the hope and the belief that my sons will do things and go places that I haven’t. That their reach will be longer and wider. That their impact for God and His Kingdom will be more significant than mine. When viewed in that way, my world isn’t small – it’s huge. It has eternal ripples. What I am investing in my boys will have exponential reach." So powerful. This is beautifully and sensitively written. My children are all grown up now, and when mine were little we didn't have things like internet - let alone Pinterest, Facebook and Wordpress to turn to find Mum support groups. It's lovely to see mothers reaching out to and supporting one another; a true ministry. I pray your blogging ministry will be blessed and will flourish and prosper. This hits home! I have 3 kids, two of which are 5 and 2, and I have days that I feel the walls are closing in. It's hard to explain to someone that hasn't experienced the joys and the pain that comes with raising children. Thank you for sharing. Thank you so much for this post. I also often feel like the world as a mom can be pretty small. In fact that other night I was wallowing in the fact that it was 8 on a Friday and I was in bed alone watching Netflix while my husband tried to get the kids to go the....to sleep! So, this post came at a great time for me, you're right- it won't be like this for long and we're doing an important thing. Sometimes life isn't fun but God is good. Thanks for the reminder!! As mothers our jobs are huge! The mundane tasks of motherhood can be tiring, but the end goal of growing an adult who will enter the world with love and gratitude will benefit everyone! Beautiful post! I really needed this this morning. I so often feel confined by motherhood and this is a great perspective change. I feel this way so often and I have a lot of guilt about it. But it's a normal feeling! Thanks for sharing! Yes, it's hard to fight the mom guilt sometimes! Totally normal - and all your sacrifices are worth it! 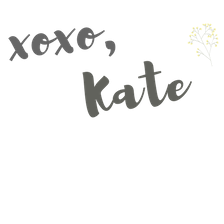 :) Thank you for coming by and reading!